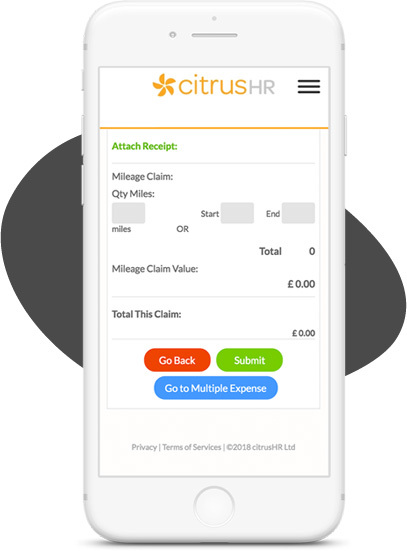 Simple, easy to use and secure online HR software that takes the pain out of managing your team’s holiday, absences, expenses, appraisals and much more. 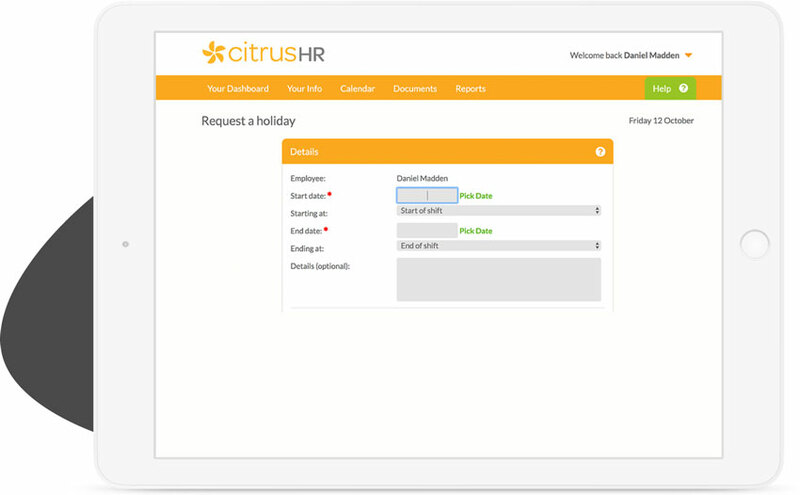 Our HR software makes it quick and easy for your team to get holiday / annual leave approved. 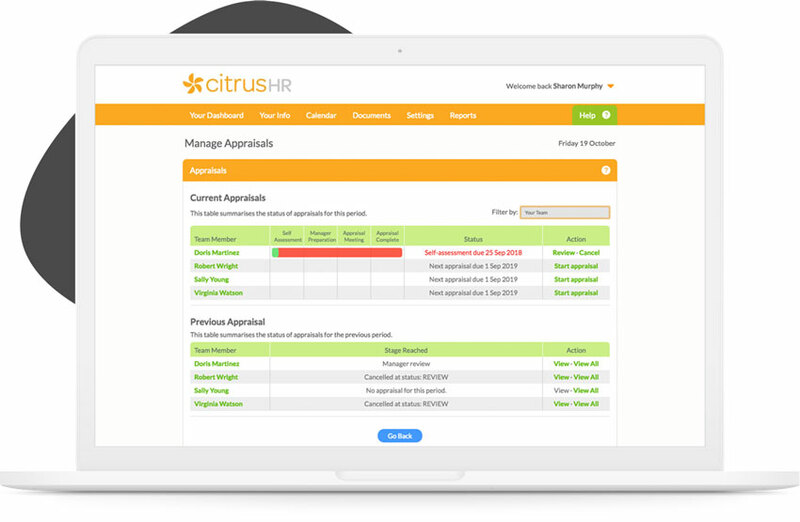 You can also log absences, request appointments and record timesheets quickly and easily, with managers notified at every step. 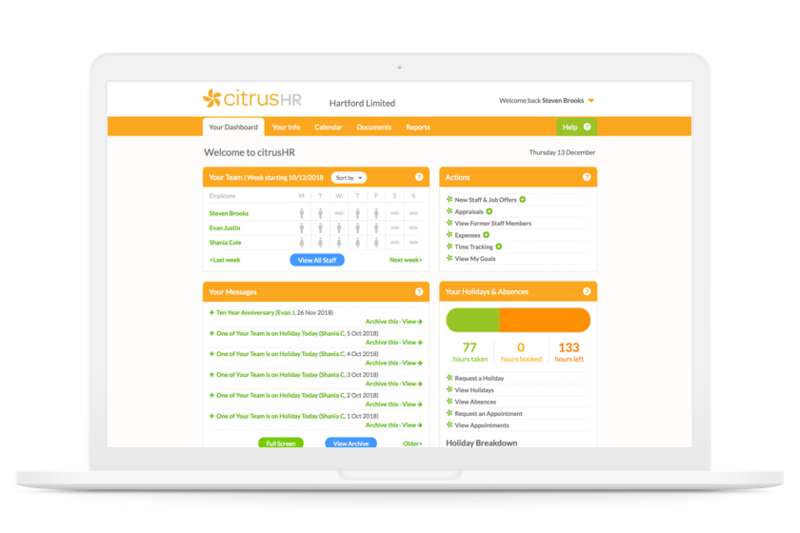 With citrusHR your team’s information is stored safely in the cloud in citrusHR’s secure employee database, with two-factor authentication available to all customers as standard and robust GDPR tools in place to help you meet your legal requirements. 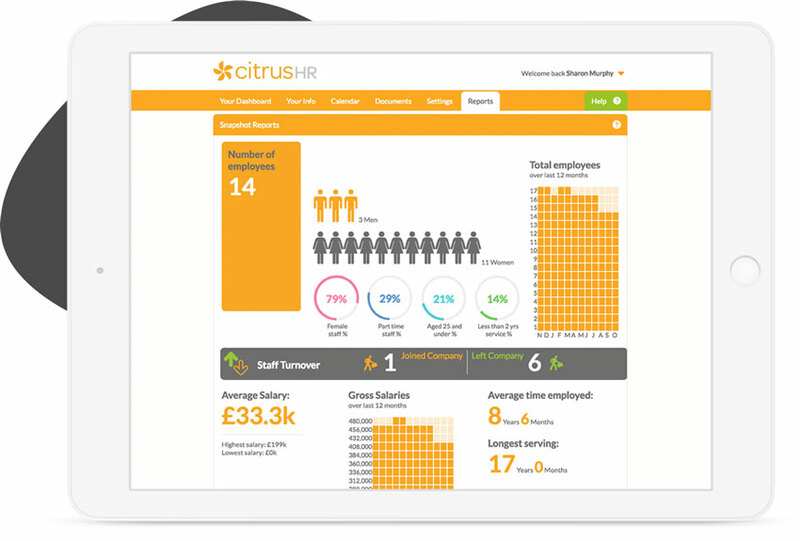 Our HR platform makes it easy for your staff to log and track training and/or CPD. You can also upload and store training certificates to employee profiles. Our powerful appraisal management features enable you to create productive, efficient appraisal programmes with automatic reminders when key dates are coming up. 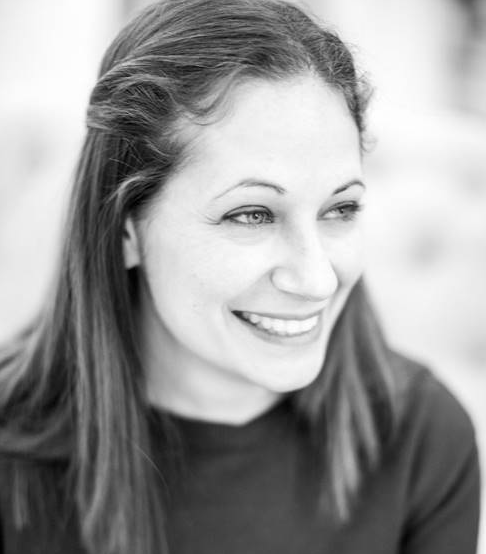 Whether you want to assess the trends in sickness across your business over the last six months, generate an organisation (org) chart, or produce a simple monthly report on salary costs, we’ve got a report for that and much, much more. Simplify your team’s expenses process with our quick and easy expense submission and approval tools. Sync to your accounting software. 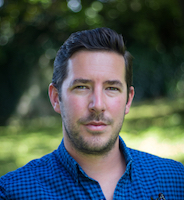 Create powerful expense reports in no time. Streamline your payroll by generating an up to date Payroll Journal in seconds, with all new joiner/leaver and payroll related information included. 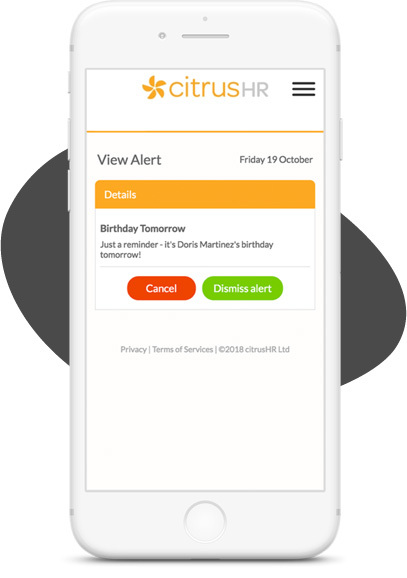 citrusHR’s software will notify you when a member of your team’s birthday is approaching, making sure you never forget the card and chocolates! It’ll also remind you about important things like training or right to work qualifications expiring, or probation periods coming to an end, enabling you to stay ahead of the game. 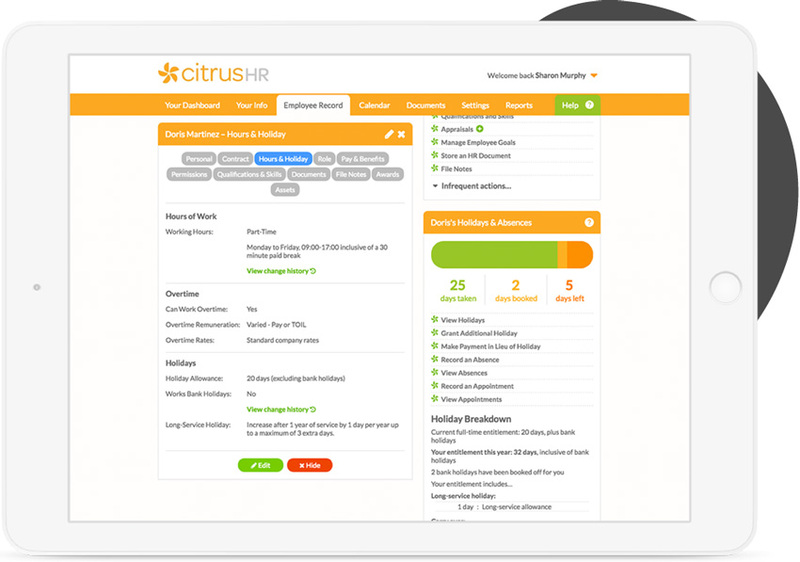 Need HR support as well as software? 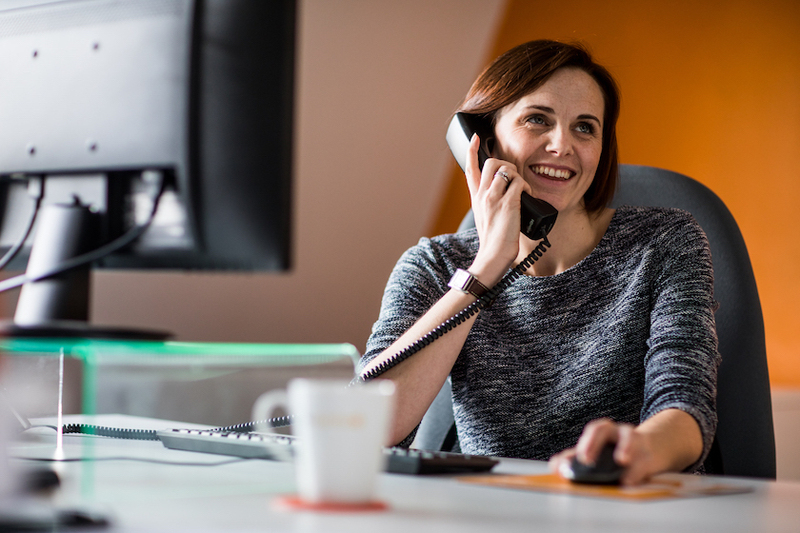 Our HR software is available as part of our refreshingly personal HR support service, which will get your contracts and policies sorted and be there to steer you through any HR issues as they arise in the day to day of running your business.